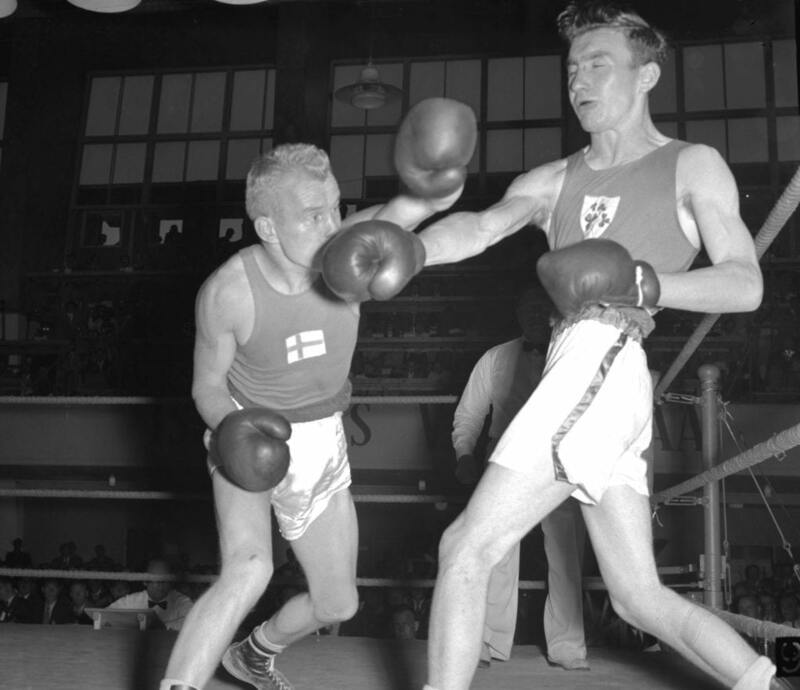 Pentti Hämäläinen of Finland and John McNally of Ireland fighting in the Olympic final of the bantamweight category (54 kg) on 2 August 1952. The home favourite won the match in split decision by two votes to one. Hämäläinen became the second Finnish Olympic boxing champion. McNally’s silver was Ireland’s only medal at the Helsinki Games.